The U.S. Supreme Court on Thursday upheld a key element of the president’s signature health law — the part that gives tax subsidies to people who buy health insurance on the Affordable Care Act’s federal marketplace. 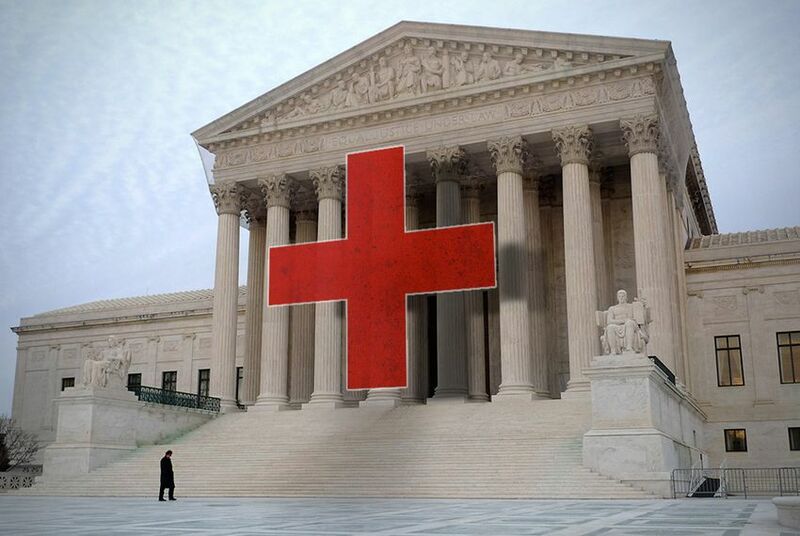 In a major victory for the Obama administration, the U.S. Supreme Court on Thursday upheld a key element of the president’s signature health law — the part that gives tax subsidies to people who buy health insurance on the Affordable Care Act’s federal marketplace. "It's time for opponents to face facts: The Affordable Care Act is the law of the land, and it's working," Democratic state Rep. Donna Howard of Austin said in a statement. The high court’s 6-3 decision means more than 800,000 low- and middle-income Texans — and millions of people in other states that didn’t establish their own insurance exchanges — will continue to receive the financial assistance that helps offset the cost of their health plans. It's a move the state's Republican leaders called terribly misguided. The lawsuit known as King v. Burwell questioned whether the Internal Revenue Service could give tax credits to people who purchased plans on the federal exchange. The challengers said no, pointing to a provision of an IRS rule that links subsidies to an “exchange established by the state,” wording that some of the health law’s authors have described as a drafting error. But the court ruled against that challenge. Chief Justice John Roberts wrote the majority opinion, holding that the language was ambiguous. Justices Antonin Scalia, Clarence Thomas and Samuel Alito opposed the decision. In writing for the dissenting members, Scalia said the court used "jiggery-pokery" and performed "somersaults of statutory interpretation" to uphold the law, saying there was hardly a need for the high court to take up the issue. "We should start calling this law SCOTUScare," Scalia added. He also wrote that equating establishment of an insurance exchange "by the state" to the exchange set up by the feds made "nonsense" of other parts of the Affordable Care Act. "Words no longer have meaning if an exchange that is not established by a state is 'established by the state,'" Scalia wrote. Health policy analysts earlier warned a ruling against the subsidies could have had seismic consequences for Texas. The average tax-subsidized Obamacare enrollee in Texas could have seen a premium increase of 305 percent if the court had ruled against the subsidies, according to an analysis the Kaiser Family Foundation made before the ruling. One insurance industry group, in a court briefing supporting the subsidies, said eliminating them would trigger a “death spiral” of premium increases and market destabilization. Nearly 1 million Texans have signed up for health insurance on the federal marketplace. And 86 percent of them received a tax credit to do it; the average subsidy was $247 per month. In Washington, the reaction among Texas' congressional delegation was predictably divided. U.S. Rep. Kevin Brady, R-The Woodlands, said the Supreme Court "ought to get an Olympic gold medal for its tortured legal gymnastics upholding this broken Affordable Care Act." His colleague, Rep. Lloyd Doggett, D-Austin, said he was very encouraged. "I hope that like the 60 failed attempts to repeal the Affordable Care Act," he said, "that now we can focus on how to strengthen and improve it instead of how to dismantle it." Reporter Abby Livingston contributed to this article.